There were seven cork triathlon club members competing this year in Klagenfurt. Philip King finished in 10.36, Katie Cooke 10.38, Ivan Kelleher 10.59, Sean Finn 12.00, Owen Wallace 12.13, Trevor Mahoney 12.21, Edel Quinn (hybrid Cork-Limerick Tri club!) 12.43. Over 100 Irish athletes in total took part in the race making Ireland the third biggest group in this year’s Ironman after Austrian and British entrants! Twelve months is a long time in triathlon. I finished IM Austria in 2011 in an unexpectedly good time for me of 10hr 07 and I was quite happy to retire from ironman, for a year or two at least. However, I had not counted on my chief supporter and (training) partner, Trevor, catching the Ironman bug and deciding that he too wanted to give it a go. So, I figured that as I would be training with him anyway, I too signed up once again, rather than returning as a spectator. I questioned this decision many times during the months of hard training prior to the ironman. Harry, my Driven to Tri coach, upped it a gear with training this time round, training twice a day most days and rarely having a full day off from any kind of session. Early 6am starts to get to the pool to join Eilis’ swim group were particularly difficult for me as I do like my sleep! It’s crazy to think that 7.20am feels like a sleep in these days! However, consistent training, a good aerobic base built up over the winter months and a solid 7 day training week in Aguilas, Spain had me feeling in relatively good shape. I raced all the same triathlons prior to IM Austria that I had in the year running up to 2011 and results were proving that all the hard work had pay off. Becoming the Triathlon Ireland Kinetica National Sprint Champion in Valentia was an unexpected bonus as all my training had been geared towards going long. I did the double olympic in Athy again this year. This is the perfect build up race to IM Austria. A tough 3km swim, 80km bike and 20km run is a good indicator of how training is going for IM. I improved my time by 18 mins over my 2011 race so I was pretty satisfied. Another few long brick sessions with Trevor and Peter O’Gorman followed in the few weeks before the IM and I felt I was ready to give the IM my best shot. Your mind always starts to play tricks coming up to an IM. You never feel like you’re ready; you start thinking that you should’ve done more long runs and bikes, that last year’s result was a fluke, that you’re getting a cold, the list goes on. Instead you have to focus on getting to the day in one piece and trust that with the training you’ve done, you are ready to take on the challenge. However, this year in Klagenfurt, two factors completely outside of our control had a huge impact on pre-race preparation. The first was the forecast that race day would end up being the hottest day of the summer in Austria and Klagenfurt would, in fact, be the hottest place in Austria on that day. Try as you might, you can’t prepare for heat like this in Ireland especially seeing as we have just endured the coldest, wettest June for years. Temperatures of up to 38C were forecast. The previous year in Klagenfurt, race day temperature was 25-26C and records fell with Marino Vanhoenacker taking the IM world record, Martin Muldoon the Irish male IM record and Joyce Wolfe the Irish female IM record. In 2010, I had raced in 34C and had finished in a disappointing 11hr13 as I had to walk most of the marathon. So at the back of my head was the worry that heat had defeated me before; and this year was to be even hotter! The second factor was a direct result of the first. The higher than average temperatures in Klagenfurt over the previous few weeks had raised the temperature of the Worthersee, the beautiful lake in which the IM swim takes place. At race briefing on the Saturday we were told that the water temperature was above the 24.5C wetsuit cutoff and so it was to become a non-wetsuit swim. I think both of these factors resulted in a change in goal for me. I had hoped to find 7 minutes over the course of the race so that I could possibly go sub-10 this year. I knew my bike and run had improved and swim stayed at a similar level to 2011 so it was possible, but I would be challenged under these conditions. The non-wetsuit swim would be slower but as Joyce (Wolfe) had suggested it would help me in my age category as I would be affected less by not having a wetsuit as the weaker swimmers would. However, I couldn’t see a way past the heat issue. It takes so much out of you and pushes your heart rate up even at rest. So it was now a matter of racing as well as I could under the conditions and try not to get heat stroke! Race day finally arrived. I had decided to swim in my race kit, RocketScienceSports white 20bpm tri-top and elite shorts so that I would minimise time loss in T1 changing gear. The swim was long, not only because of the lack of wetsuit but I measured it at 4.2k on my Garmin 910XT. Standing on the beach before the race start, we noticed the marks were in a different position to previous years so we were a little suspicious that this might be so even before the race started. I exited the swim at 1hr06, almost 8 minutes slower than last year! The pro’s swim times were also slower than previous years so at least it wasn’t just me! My left hip flexor had started to bother me during the last 30mins of the swim and even though I seemed to run it off during T1, it would potentially comeback to affect my run. A reasonably quick T1 and I was out on the bike to face the 1800m or so of elevation IM Austria has to offer. My plan for the bike was to ride steady and concentrate on eating every 30mins, drinking as much as I could and keeping my core temperature down as much as possible. The first lap flew by and I was feeling great. Temperatures rose in the second lap with 41C being recorded at one point on the course. It was increasingly difficult to cool down but water on the back of my neck seemed most effective. I was off the bike in a split of 5hr18, one minute slower than last year (but the course had been changed again this year!) and into T2. At this point one of the guys in transition told me that I was 10th female overall. I heard him but it wasn’t until I had started running that I realised what he meant and that I was well up there. The Run: this was to be the hardest part of the day; it always is. But it becomes even harder when the temperatures are so high. As hard as it was to keep cool on the bike, it was impossible on the run. There were more slight changes to the run course but it still consisted of the same 4x10k-ish loops. The first and third an out-and-back along the lake, the second and final 10k in and out of town. Having raced this course before I was dreading the running alongside the lake. There is much less shelter from the sun on this section than there is on the town loop. It proved to be as hot as we expected and hotter. My plan had to be to run 7.50minute miles and walk through aid stations. This worked out for the first 7 miles but slowly the heat began to take its effect. I kept running until 25k but my stomach slowly started to pack it in followed by my quads. I think I may have actually tried to drink too much water at aid stations and this affected my stomach. I had been eating jellies to keep my muscles fuelled but they were probably not enough for the exertion on the day. It always gets hard halfway through the run and at 25k I started walking outside the aid stations. I knew my chance to go sub-10 had passed and I chose the easier option, to walk. Shortly after, I was passed by what would be two girls in my age category. I walked/ran the final part of the marathon to record a split of 4.05 and finally crossed the line at 10hr38. As I was running down the finishing chute it was announced that I was 3rd in my age category and 13th female overall, 8th age grouper. As the race progressed I kept thinking Trevor would pass me at any stage. He had trained hard over the last few months and had overcome a knee injury to get to the start of the race. When I didn’t see him on the run I began to think that something had gone wrong. His biggest worry before the race started had been mechanical issues on the bike. His fears proved well founded. Five punctures, including one before the race had even started, affected his bike split. The final puncture was in such a point on the course that it was faster for him to walk the final 6-7 miles than it would be to return to a course mechanic. And so having walked his bike back to transition, he started off on the marathon and ran it in 3hrs49 to finish in a time of 12hr 21. He never gave up and as far as I am concerned this was a true Ironman performance. The following day, slots for Kona were awarded. I realised on Monday morning that I might be in line for a slot if one of the two places in my age category rolled over. Prior to the slots being announced, I made a decision that I would not take a Kona slot even if it the opportunity came up. The heat in Kona is far worse than what we had just raced in and there is wind to deal with as well! That and the expense of entering and travelling to Hawaii helped me make up my mind. It did indeed roll over and I can now say that I qualified for the World Championships but declined the offer. I know to some it is the holy grail of triathlon but it is not the right time for me and if it is meant to be there will be another chance. 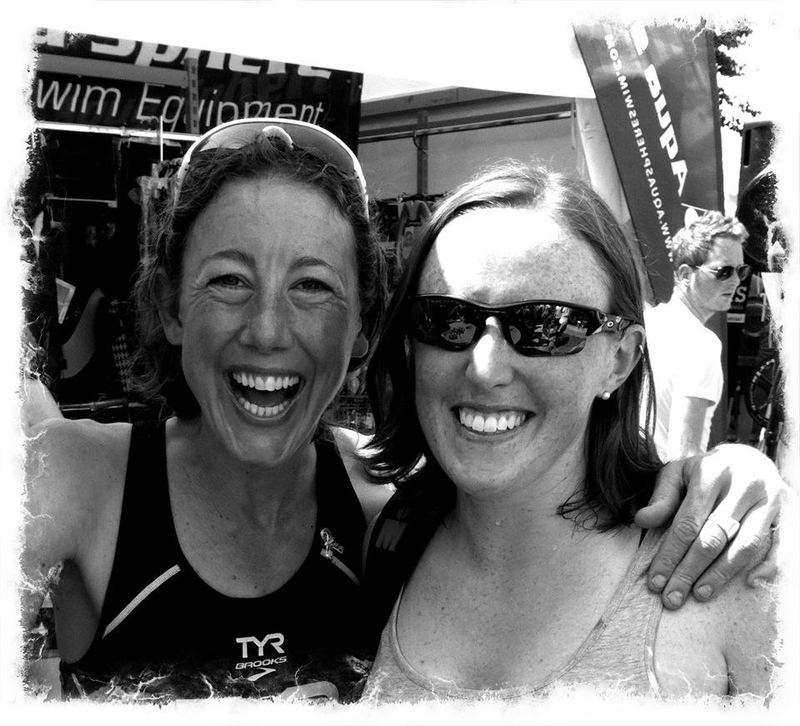 The race was made all the more memorable as I got to meet Chrissie Wellington twice, once at the expo and again at the awards ceremony when she handed out the age grouper prizes. So there it is; Ironman is a huge gamble in my mind. You spend months training night and day, all for one day. Your life revolves around training, working, eating and sleeping. You spend most of your weekends training and the rest of the time recovering. I was lucky to have Trevor training with me, otherwise we wouldn’t have seen much of each other over the last few months. All this time and effort and it all comes down to one day. Then, that day either goes well as it did in 2011, i.e., perfect temperatures, no mechanicals, no nutritional problems OR your hopes are dashed even before the race starts as they were this year with record high temperatures forecast and wetsuits are banned. Your targets set up by your training in previous months are suddenly changed and replaced by just being able to just finish. I may have finished 3rd in my age category and 13th overall, but I can’t help feeling that I gave up a little too easily when I started walking during the run. However, it is done. Now it is time to learn from it, take the positives, work on the negatives and re-focus. When all is said and done, the feeling when you run down the finishing chute and cross the line at the end of a grueling day is something else. Whether your first or your fourth, finishing an Ironman is special. But after 4 consecutive years training for IM races, perhaps a year away is what is needed in order to come back stronger in 2014.